As a professional blood sucker you'll never enjoy all the hype about the sun's so called soul cleansing power. You’re more into gazing into the cruel and emotionless fire that is your enemy and meeting your smoky doom. But hey, at least these Gothic Sunglasses will shield your eyes from that annoying sunshine that always seems to be around. Just because you’re dead inside doesn’t mean you still can’t look good! Whether you’re putting together a perfectly dark costume and need a finishing touch or maybe just really channeling those emotions for the day these Gothic Sunglasses are the perfect accessory for any occasion. 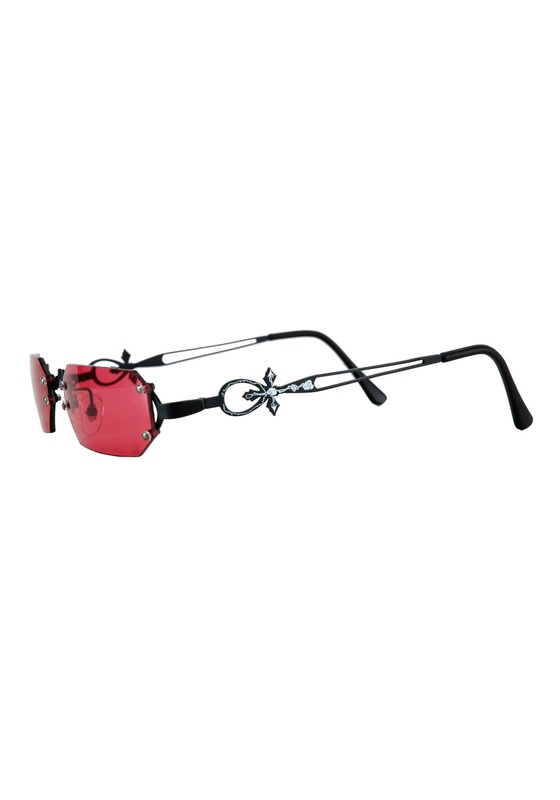 With 100% UV protection red lenses accented with crosses and roses these sunglasses will give you shade in the coolest way!